Rescuing injured blue-leather alien, Eli, from Earth-bound Enforcers seemed a simple thing at the time, but stranded far from Earth, Kate, Eli and sentient onboard, Honey, encounter the Entity-I and are forever changed. 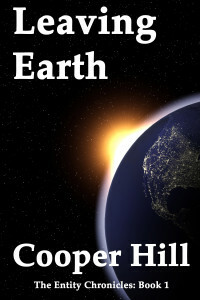 Kate becomes a pawn in a deadly confrontation with a cold alien race, and must answer questions deep within her Earth-born soul: What determines that one is Human? Who is one’s true family? The Keiratus nation’s newest hero, Kate Lightfeather is dying, stripped of some essential element in a nearly-aborted transfer from Earth. 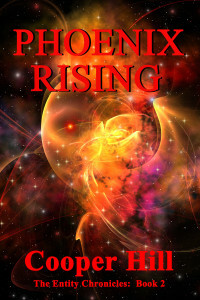 A mythical Earth-legend, the Phoenix firebird, suddenly appears, unbidden and lures a Keiratus medical officer into a trap, drawing Kate and four companions back to Earth to face a world of danger and adventure and challenging the Keiratus to save Earth from an encroaching and Universe-consuming threat, the NAWL. As the Keiratus’ most favored citizens, five top Commanders are sent on a rescue mission to save the gentle inhabitants of a planet being destroyed by colliding star clusters. 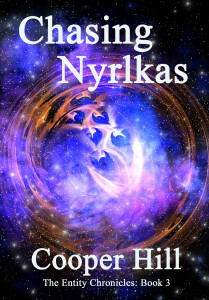 But the Nyrlka are not as they first appear, and Srin and Kate must decide if they are worth saving, or if rescuing will jeopardize the parity, balance and harmony of the universe, putting their own lives and the entire Keiratus at risk. When Eli, a blue-leather alien crash-lands on Earth, free-spirited and chaste state-supported artist, K.O. Lightfeather is forced into a desperate race to save him from the repressive society she lives apart from. Trapped aboard Eli’s disabled ship, Kate encounters a strange being calling itself the Entity-I-Undivided which gifts a portion of itself to her, creating a new life form in the Universe. Adjusting and adapting rapidly to several new alien environments, Kate finds a home and her first friends forever, discovering what determines that one is Human and who is one’s true family as she joins forces with the Keiratus nation to defeat an ancient enemy. 1st 100, Sign up for free coupon!